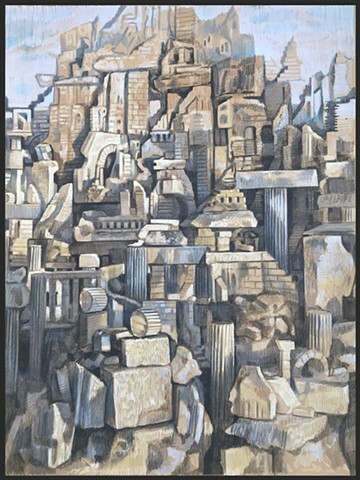 Drawings done from a studio model entitled Styropolis. 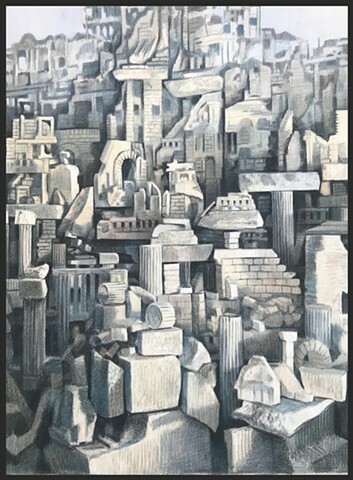 Styropolis is an ongoing three dimensional construction (sculptural sketch) built primarily of discarded Styrofoam. The model serves as an inspirational jumping off point - a way to build, light, photograph, and draw from invented ruins. In some ways this construction follows in the tradition of the architectural folly and capriccio.